On a family vacation to Koh Tao, Thailand, I ate the most delicious gluten free granola ever. It was served in a cozy coffee shop right on the beach called Coconut Monkey Cafe. Doesn’t the name just make you want to go there? I ordered the house made granola and it was served with big chunks of fresh fruit and yogurt. After quickly devouring a big bowl I went on to finish my son’s as well. My second day in Koh Tao I ordered the same granola, but this time I paid close attention to the yummy ingredients. Making granola at home wasn’t really on my radar. I have my favorite store bought granolas I always buy. But since it may be a while until I travel back to Koh Tao and after tasting the crunchy sweet gluten free house made granola in Koh Tao I had to give it a try. 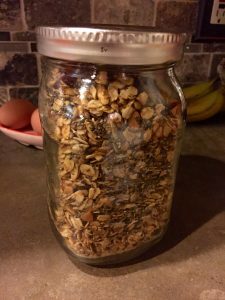 Also, really good granola is not cheap, so this recipe is a total money saver! 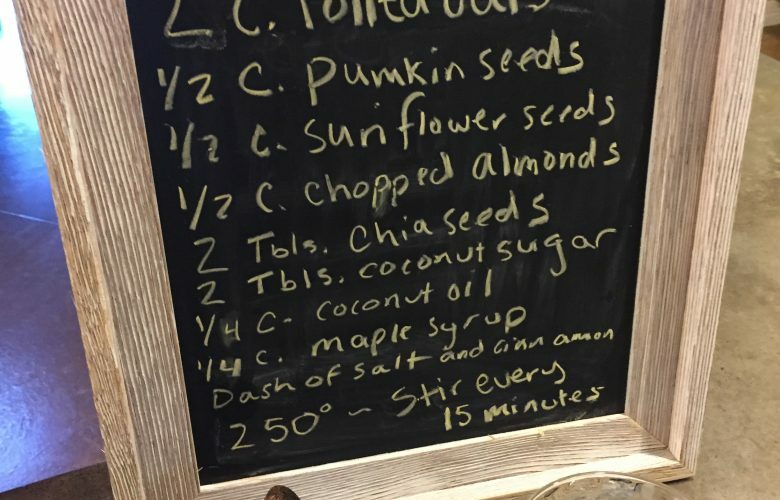 The basic ingredients from the original Koh Tao Granola at the Coconut Monkey Cafe (listed on the menu) include Sunflower kernels, pumpkin seeds, goji berries, chia seeds and raw honey. I add just a few things to make it my own. My BIG granola warning is: it burns easily at higher heat. The sugars and coconut oil (I like to use) will be cooking nicely and smelling great one minute and burned the next. I know this from experience. So after a little trial and error, LOW heat is the way to go and I check and stir my granola ever 15 minutes. Next time you are traveling in Thailand and end up in Koh Tao, don’t miss trying the real deal at the Coconut Monkey! Line a cookie sheet with parchment paper. This makes clean up a breeze. In a big bowl mix well all ingredients (except cranberries). If your coconut oil is hard melt it before adding. 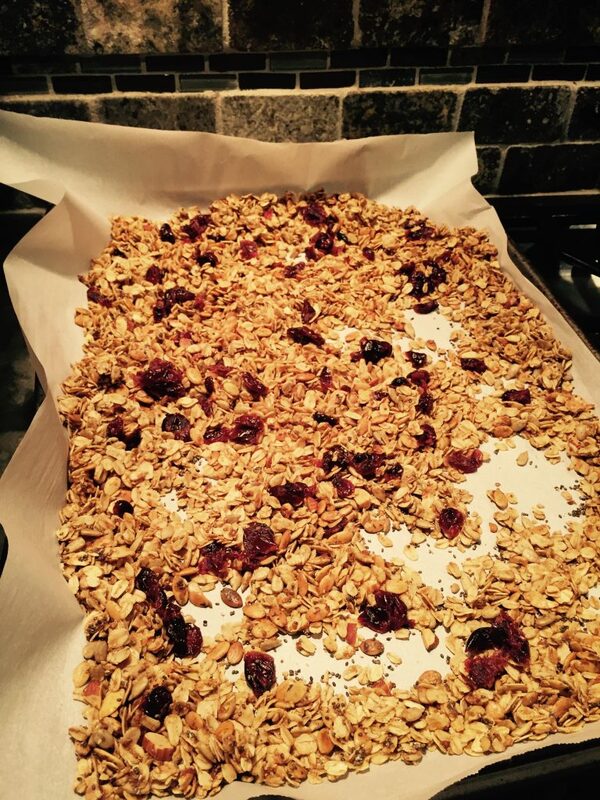 Spread the granola mixture onto your lined cookie sheet. Bake 15 minutes, then stir. Do this about 4 times until you get a nice deep brown color. Or you can just taste it! Try not to eat it all right away.